Your Lost customers are those who haven't ordered in a very long time. 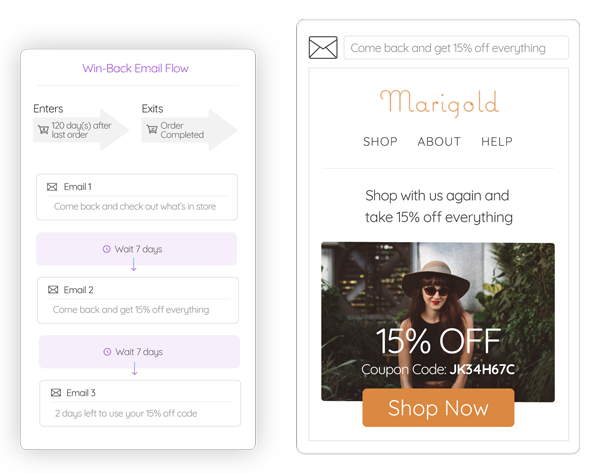 Bring back customers who haven’t shopped in a while with an automated email flow designed to win them back, perfectly timed with product recommendations and a discount across three emails. Turn on the Win Back Lapsed Customers Flow under Email Flows. To prevent customers falling into the Lost segment, turning on a Loyalty Program here gives you the chance to enable automated Feedback Collection after every purchase. 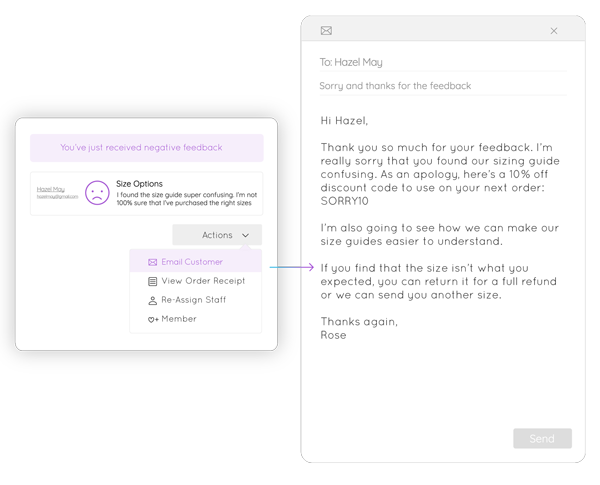 Collect private customer feedback and turn unhappy customers around by responding with a personal message and offering loyalty points. You can turn Feedback on here.